Not quite the whole story … I never bother for small amounts! I’m talking about eBay purchases that go wrong. If the sum is less than £10.00, I tend to put it down to experience and never use that seller again. I have a personal blacklist that I refer to when I’m buying something, and add new sellers that don’t come up to the mark. About a month ago, one of my computer mice (or is it mouses?) started to fail. It was only a cheap one, but it had lasted about two years. I thought at first it was just a bad battery, but it wasn’t and it had to be consigned to the “Tech Bin” for disposal when I next go to the recycling site. 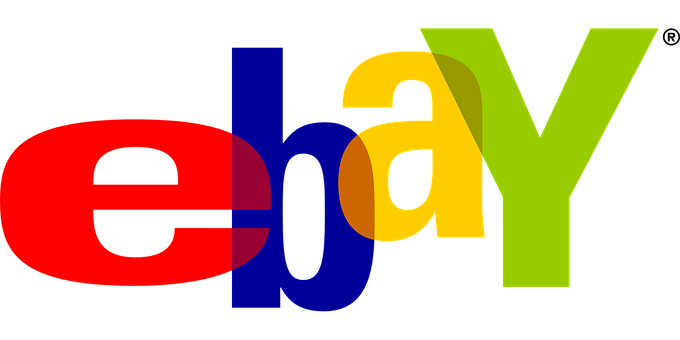 I started using a wired one, but it’s not the same after a wireless one so I looked on my favourite selling site … eBay! There were quite a few for sale within my price range, but I spotted an seller offering two for the price of one, or ‘make me an offer’. I made an offer, and it was accepted. I was well pleased with myself. They arrived after about two weeks, and as they were coming from China, I thought that was an acceptable length of time. Now for the crux of the matter … they did not work. The computer could not see either mouse. The seller started nattering a bit about feedback for the sale, so I simply put in the feedback box ‘Don’t work’ and gave it a neutral rating. I thought no more about it and left it at that. 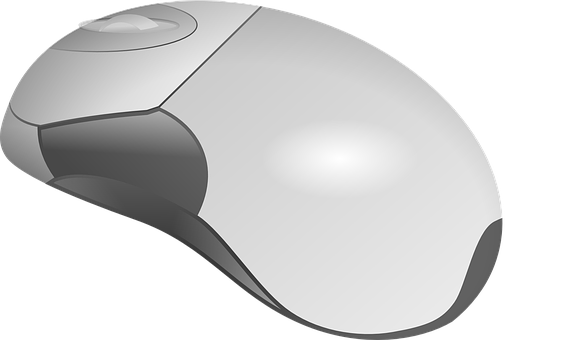 Meanwhile, my original mouse had been borrowed by a friend who had taken it to pieces and cleaned some part or other, and handed it back in full working order. 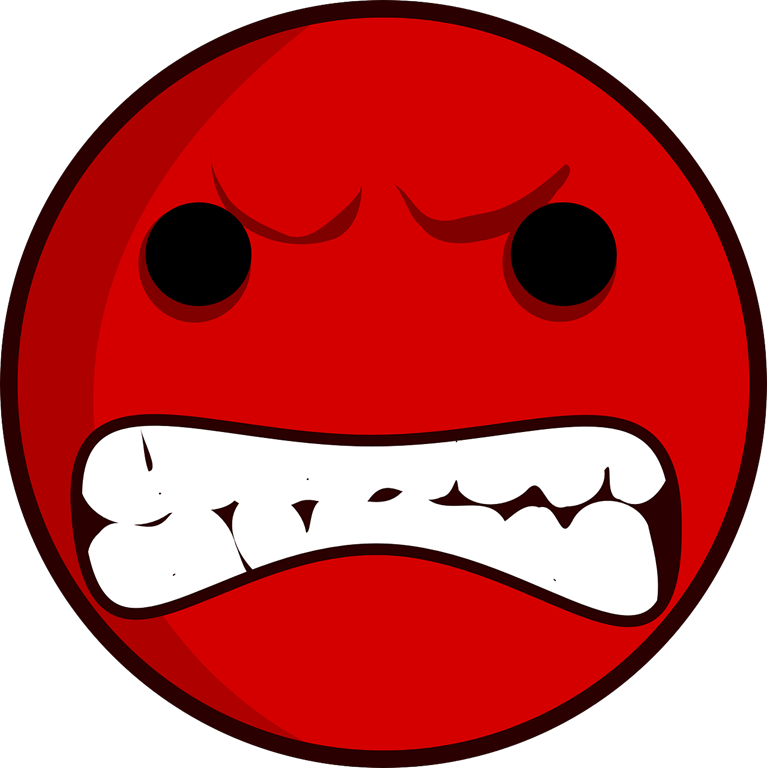 Skip forward to this morning, and an eBay message from the seller asking if I could amend the feedback, and he would issue a refund. After a bit of messing around with eBay, the said feedback was amended to something like ‘issue resolved with seller’. 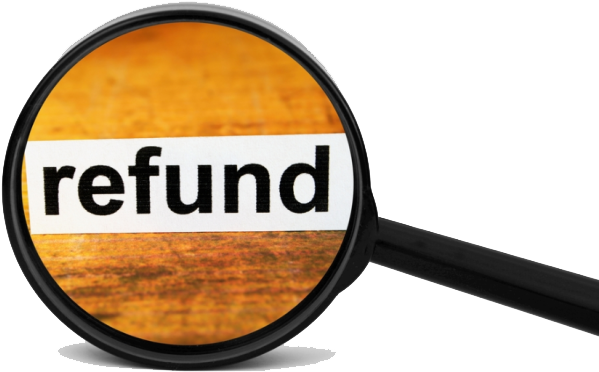 Within ten minutes I received an email from PayPal to say that I had received a full refund from the seller. I was surprised to say the least and there has not been a request to return the faulty goods. So I have now raised an issue with another seller regarding another piece of IT equipment that I’m having a problem with. We shall see how that goes. This is going to be a little bit techy/geeky, so feel free to move on. For a long time now, I’ve been wanting to learn a computer programming language. I have had a free programming environment (Visual Studio Community 2017) on all my computers for many years but simply have not had the inspiration to get on and learn something. The bad weather on Thursday suddenly gave me that inspiration. I found an online tutorial called Home and Learn, that went through the basics in Visual Basic.net, but at a pace that wasn’t either too slow or too fast. Many of these tutorials show you how to create the ubiquitous “Hello World” programme. As much of a novice that I am, I think I was past that phase. So by the end of the day, I had completed a few exercises and had started on a project to build a basic calculator. And I mean a basic calculator. A calculator that only had a single function … addition. Nothing else … just adding up numbers. 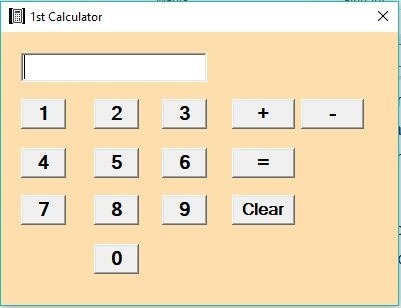 By Friday evening, after a few false starts I had successfully built this very simple calculator application. I was feeling very pleased with myself. This self-smugness left me feeling that I could do more. Knowing what I had learnt I felt that it would be not such a difficult task to add another function, such as subtraction. The main issue I had was how to use the coding that I had spent so much time on without losing the initial work. What I needed was a ‘Save as …’ option. But could I find one? It seems that there is no ‘Save as …’ in this version of Visual Studio. I searched the internet but was coming up with various ways that didn’t seem to work for me. I then realised what I needed to do. All that was required was to copy the original project to it’s own backup folder, in another area and then I was free to use the original. 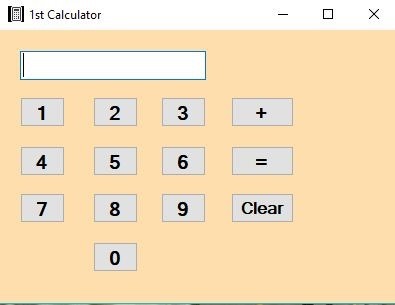 Well I won’t bore you with any more details, but after even more false starts than before and a lot of brain-racking I managed to get the subtraction function to work and the calculator now has both an addition and a subtraction button. Can you imagine how much the smugness factor has risen by! I even managed to find out how to make the buttons look like raised buttons instead of the default flat style that seems to be the fashion these days. The next challenge is to add a multiplication and a division button. I’m even thinking ahead for things like a percentage button, but I’m not going to get too far ahead of myself. At the end of the day though, this not going to get me anywhere. It’s just another hobby that I can enjoy and get satisfaction from. So we are on day four of the new bathroom (weekends don’t count) and it seems (?) to be all going to plan. Well someone’s plan anyway. It does seem to be taking a long time. The guys are just on with the grouting of the tiles at the moment, and I understand that the cleaning of the tiles afterwards is a long job, due to the type of tile we have chosen. At the moment, there is the floor to lay, the toilet and sink to fit, the wall unit and under-sink cupboard to install, the lighting to install and fan to remove and finally before the cleanup, a new radiator to fit. They are supposed to finish by Friday … I’m not too sure about that. The main problem is that we can’t do anything. We have had to shut all three bedroom doors to keep the dust down which means that upstairs is out-of-bounds really. K*** has gone to have her nails done and to see her parents, but I have never been comfortable in leaving workmen alone in the house. Even those that we sort of trust. You hear so many stories of break-ins after work has been done. And they do like their tea/coffee breaks, which may account for the time factor. I did a silly thing a few weeks ago. It didn’t seem so silly at the time, but I am really regretting it now. You see when I left work, I had taken a copy of all the user guides, help documents and training manuals that I had written over the years. I thought they would come in useful. Well about six or seven weeks ago, whilst (do you say ‘while’ or ‘whilst’?) doing a clear out of old stuff on my computer I took the random decision to dump them all. Now normally I would have copied them onto a CD just in case, but on this occasion I just deleted them. I now realise that it was a bad idea, as that kind of thing can come in useful when looking for a job. I know that they were all in a single folder on the works computer network, and I have emailed a colleague a few times and asked if he could look for them, but he has not got back to me about them. He has been on leave, but I kind of get the feeling that he is not too happy with sending me them. I can’t be sure, but he either does not reply to the email or tactfully avoids the question. I think I may have to accept that for me, they have gone forever which is sad. More on the eldest lad’s predicament. After a lot of thought and input from others, he has decided that he cannot afford to keep the current house. His ‘ex’ has said that she would take it on under the same terms that she offered him. Basically, he would come off the mortgage and she would pay him a lump sum that equated to the half money that they had put into the property that could not be reasonably divided up. Thinks like carpets, lighting, appliances and the like. He is really up for this and me and K*** went to look at a new build not too much further away than he is now. It looked nice, but when he mentioned the location to his colleague, who knows the area, he was advised to not even consider it. It was a shame because it would have given him a three bedroom, semi-detached house at an affordable price. No amount of talking last night would change his mind. He is now looking at a new two bedroomed property, in an almost city centre location which, with a little help he could afford. This story could run for a long time. So, have you got this Pokémon Go yet? It seems that if you haven’t, then there is something wrong with you! It is sweeping the country like a plague. Everybody appears to have the app on their phone. The reason for it’s popularity? “It gets kids out of the house” … “The kids are not sat glued to a computer screen” … “It’s a great social thing (whatever that means)” These are just some of the comments I have heard to justify this new craze. Really? Kids are still walking around looking at their phone screen and from some of the news reports, not taking notice of their surroundings. I’ve heard of people walking of cliff edges looking at their phones. People walking into the road to catch these imaginary creatures. Just today, I heard of someone walking into an army minefield. What is going on? Have we really come to this?